​Comfort Heating & Cooling Solutions LLC. is the elite heating and air conditioning repair in Marianna, Florida that proudly serves both the commercial and residential heating and air conditioning needs of all residents in Northwest Florida. We sell and service all major brands of Heating, Ventilation, and Air Conditioning Systems in Marianna and surrounding areas. We are dedicated to providing the best customer service in the region. We look forward to meeting you, learning about your residential or business’ needs, and placing your name on our list of many satisfied customers who now call 850-557-6905 when they need service and support for their HVAC repair or installation. You can review our services and specialties here and contact us anytime you wish. Comfort Heating & Cooling Solutions, LLC gets the job done right! Proper heating, ventilation and air conditioning systems are important for maintaining a comfortable environment, both in the office as well as your home. Our Marianna, Florida Heating and Air Company (Comfort Heating & Cooling Solutions, LLC)specializes in the installation, servicing, and repair of these sophisticated AC and Heating systems. We have an army of technicians, who not only are well-versed with commercial AC or heating systems but residential systems as well. We make sure that your system is properly put in place and runs at maximum efficiency for the longest time. We will be available to listen to your concerns at any time of the day when a heating or air conditioning repair service concern comes in. The top priority of our customer care executives is to understand your needs and offer you the best solution. As the next step, you can make an appointment for consultation. Whether you want it for your home or for your office, we can help you with it. Once we are done with our first consultation and have a good grasp on your Northwest Florida HVAC repair or install needs, we will offer you a quote for the required services. We will take notice of your budget considerations and offer you multiple suggestions to suit your particular needs. Everything said and done, we ensure you thatwe will turn out to be the most affordable HVAC service providers in Northwest Florida, whether you have a residential or a commercial property in Marianna, Sneads, Graceville, Cottondale, Grand Ridge, Greenwood, Alford, Malone, Two Egg, Campbellton, Bascom and Jacob City. You can make comparisons and see the truth for yourself. We are the bests air conditioning repair and heating professionals from Marianna, Florida! Once we have an agreement in place, we will start the project as upon mutually agreed upon time and day. We employ only experienced and technically sound staff who knows what they are doing and informs you at all times so that your expectations of our phenomenal heating and air conditioning repair is met. Irrespective of the location or any other challenges, our technicians will be able to install, service, and repair your HVAC systems in the Northwest part of Florida easily. They are all insured and licensed professionals, who have complete knowledge about different types and brands of HVAC systems. They take care of the safety regulations and also ensure minimum downtime. You just have to experience our service to believe it. We make clients for long-term, because we believe in making relationships. We will offer you the best deals and help you bundle great services for your air conditioning maintenance or seasonal heating needs well within your budget. We also offer periodic checks that will help us ascertain the good health of your A/C or heating systems and prevent you from spending huge money on replacements. 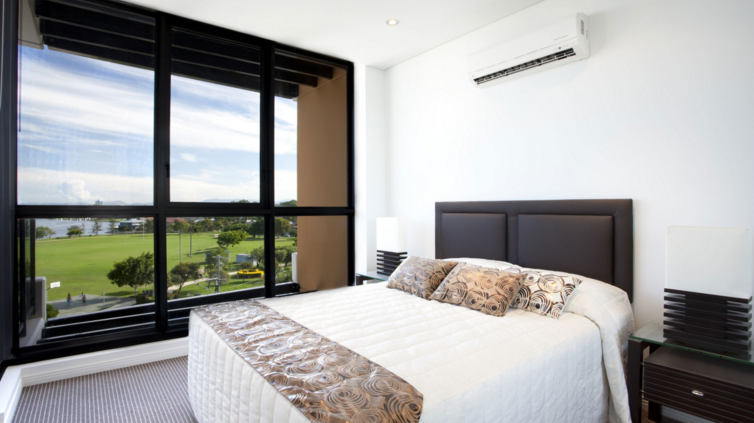 We have received sparkling references from both our HVAC residential as well as commercial heating and air clients. We are constantly in the pursuit to make our services better and that shows in the reviews that we get. ​Our clients praise us for the well-rounded HVAC service that we provide, and the money that we save them. It is not only our affordable service, but low downtime and noticeably higher efficiency of systems, which makes us the first choice for our clients. We believe in mutually beneficial client relationships that last a lifetime. ​Comfort Heating & Cooling Solution, LLC are the best professionals in the industry for all your HVAC needs. We have vast experience in providing all kinds of commercial refrigeration systems. Including walk-in freezers, chillers, water filters, ice machines, reach-ins, coolers, and also much more. Naturally, we are the highest rated HVAC professionals in the entire Florida region. Therefore Contact us today. Marianna's leading A/C and Heating Service (HVAC repair) now serves all of Northwest Florida! As the weather in the area changes, so does the energy efficiency and output of your home heating and air conditioning system. Call the best heating and air company in the area! Call CHCS HVAC Repair. Call Us Today to set up A/C Repair Work or to Schedule a Free Estimate on a New Air Conditioning Unit! ​As an HVAC Company, we understand how imperative indoor comfort is to you. We also understand clean air is important to the health of you and your family. An HVAC system that performs at peak efficiency will provide ultimate comfort and peace inside your home. The team at Comfort Heating & Cooling Solutions understands how a broken AC system can affect your family. 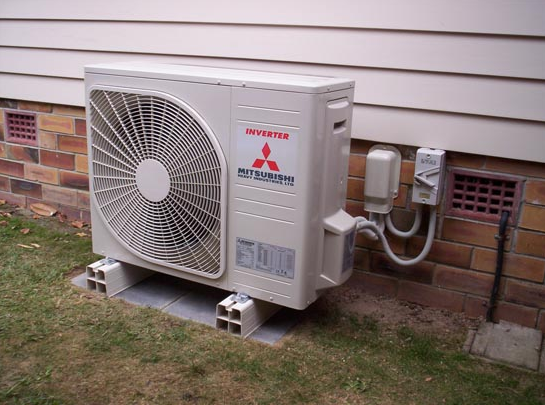 We understand that a faulty air conditioning system can be frustrating and also inconvenient. But, don’t worry – we are here to help you quickly. We are focused on achieving the best possible comfort for you and your family. 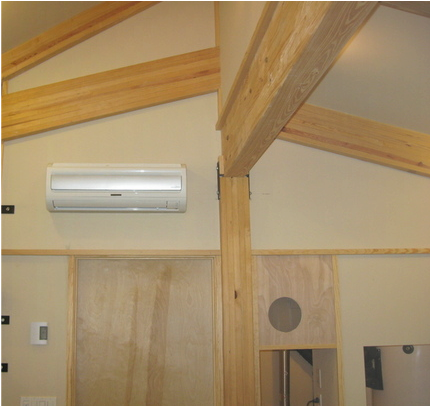 Comfort Heating & Cooling Solutions can take care of all your AC needs, regardless of the make and model of your unit. Contact us today for all your air conditioning and heating needs. Why Choose our A/C and Heating Repair Company? 1. Speedy and Efficient Air Conditioning Repair - We understand you want a fast air conditioner repair and that you don't want to wait to get your home back to a comfortable level. Our Air Conditioning Repair Company will do the repair right the first time so that you can be relieved as quickly as possible and so that we can continue to help repair air conditioners in the Northwest part of Florida that we proudly call home. 2. The Best For You - We come to you officially licensed. Our exclusive list of elite and Professionally Trained Technicians provide you with the most progressive and effective service on all Air Conditioning brands. 3. Licensed and Bonded Air and Heating Repair - We would never offer you inexperience air or heat repair in the state of Florida. All of our technicians are fully licensed repairmen who live right here in the community with you. We take pride in being your neighborly HVAC repair technicians and contractors in North West Florida. 4. 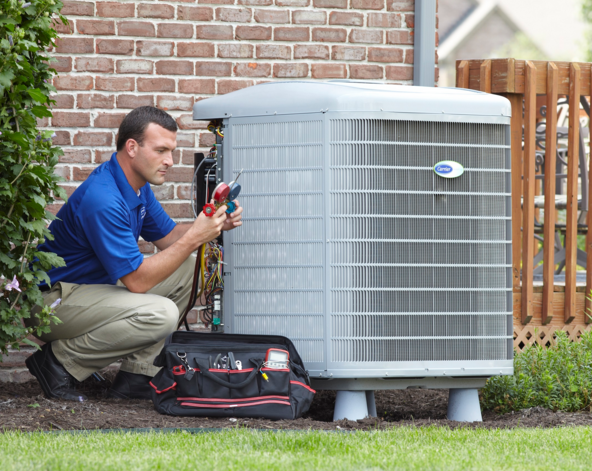 Elite Status - Our certified air conditioning repair and heating technicians keep up with the latest developments in HVAC repair to make sure your units are replaced, repaired or installed to the most up to date methods and standards. 5. Free Estimates on Heating and Air Conditioning - We come to you to provide you with a detailed estimate on the repair of your home air conditioning or heating unit. Our Marianna and Northwest Air Conditioning Units give your home a comfortable environment at a reasonable cost. 6. All Major Brand Repair - Our Air Conditioning and Heating Repair techs are able to help you no matter if you need AC Repair in Marianna or if you are looking for a new Air Conditioner in any of our service cities. We are talented and certified to install and repair all major brands of air conditioning units. 7. Competitive Pricing - We know you have many options with it comes to getting Heating or Air conditioning repair in Northwest Florida and even in our homefront of Marianna, Florida. There are so many AC repair companies that we have made sure to offer you the most competitive prices and special offers that we can during any and all seasons! Our Heating Repair and Air Conditioner Repair Company delights in offering the most innovative in HVAC technologies. Our UV light installation is a superior method of maintaining optimal health for you and your family home. Air conditioners, dehumidifiers, ventilation systems, heating systems and other air handlers tend to accumulate organic material in their ducts. Modern HVAC systems use UV light to counter this problem. They not only improve the quality of the air, but also reduce energy bills and system maintenance costs. Comfort Heating & Cooling Solutions, LLC can help you reap the benefits of this technology at the most affordable prices. Here are some of the benefits that UV lights entail. As the HVAC systems become older, their efficiency comes down significantly. Of course, there is the inevitable wear and tear, but most inefficiencies stem from the buildup of contaminants in the coils, which results in the reduced performance. This not only reduces the air flow, but also compromises the quality of the circulating air. A UV-light poses a perfect solution to this problem. Comfort Heating & Cooling Solutions, LLC makes sure that you get exactly what your HVAC system needs. 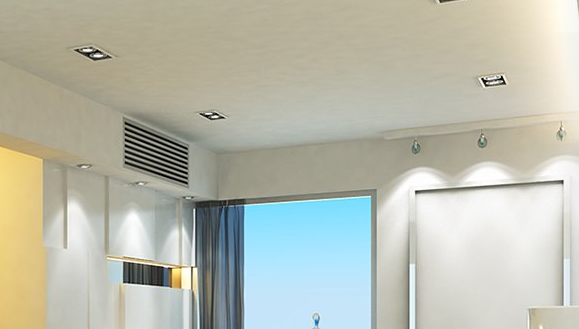 The performance boost to the air circulation system is going to make the environment in your home or office much more comfortable and productive. 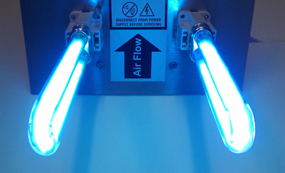 You can experience as much as 35% savings on energy with the addition of UV light to your HVAC systems. It should be understood that the ultraviolet light itself does not reduce the energy usage. ​But, it helps in restoring the performance of the coil, which in turn uses less power and hence the savings. Given the fact that HVAC systems account for up to 50% energy bills of most residential and commercial establishments, the scale of savings will be significant. The UV lights are extremely effective and show results within days of installation. The increased airflow and better quality of air is easily perceptible. Comfort Heating & Cooling Solutions, LLC is one of the best services for installation of UV lights in the HVAC systems. We have a large geographical presence that spans Marianna, Sneads, Graceville, Cottondale, Grand Ridge, Greenwood, Alford, Malone, Two Egg, Campbellton, Bascom, and Jacob City. Call our customer care and we will ensure that you get the best quotes for your project. Our staff at Comfort Heating & Cooling Solutions, LLC is trained in every aspect of UV light installations and operations. In the initial consultation itself, they will be able to ascertain whether or not UV lights are needed for your establishment. It may be the case that your HVAC systems are beyond repair and in dire need of replacement. In such cases, UV lights won’t do much good. However, if a UV light can improve the performance of your existing systems, our technicians will analyze where and how many can be installed. We will make sure that you get the best value for your money. You should also know that all our technicians are trained and experienced professionals. ​All of our HVAC contractors have been in this business for years and have complete knowledge of the domain. They are also licensed and insured heating and air conditioning repair experts! Call Today for the BEST HVAC repair and installation contractor in town!